Now more than ever, companies are learning to cherish the valuable input created by fostering cognitive diversity in their organizations. Cognitive diversity is the inclusion of people who have different ways of thinking, different viewpoints and different skill sets in a team or business group. Many of these same companies have already realized the benefits of encouraging diversity in age, gender and ethnicity for years but are perhaps new to the idea of cognitive diversity. Unfortunately, there are still holdouts that tend to hire employees who think alike. Perhaps they want to hire an exact replica of “Ted” from accounting because he was so good at his job. Or, there are managers who feel comfortable hiring people who graduated from their own alma mater. There are even those who attain a new position with a new employer and then proceed to hire their former colleagues from a previous employer, one at a time, until the old team is all back together. It would seem on the face of it that more viewpoints, varied experiences and different ways of approaching a common problem would be preferable to a team of “yes men,” but old habits die hard. It may not be easy to overcome these natural tendencies but it can be accomplished. First and foremost, teams, management, and organizations as a whole must not stifle “different.” They need to encourage it. By realizing that there is a positive measurable correlation between teams who embrace cognitive diversity, and teams who exhibit high-performance levels, companies can improve their productivity by inspiring management to provide a robust level of psychological safety for their employees. For cognitive diversity to be successful, the organization needs to make it “safe” for associates to try new things in new ways without fear of repercussions. 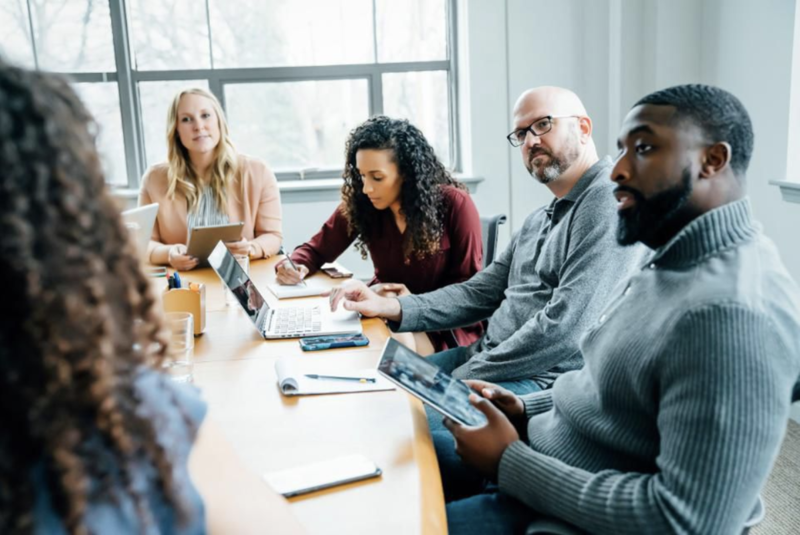 An important part of the progression is the role that management (or the designated team leader) plays in the process of harnessing the power of cognitive diversity. If the leader continues to allow each team member to play the part they find most comfortable, the group may be missing out on a wealth of energy and participation. For example, if one team member is naturally upbeat and easily falls into the “cheerleading” role, the ongoing repetition of this optimistic behavior may eventually annoy some other team members who begin ignoring his input. If one member is analytical by nature and wants to paralyze other members with mounting facts, figures, and research, her input may not be heard after a time. One method to avoid this role stagnation is to shake things up by assigning different roles to different team members by project or by milestones during the timeline of the project at hand. The team as a whole will still be getting an assortment of input to stimulate their ability to innovate, but getting a certain type of input from a different individual can wake up the process and allow participants hear something fresh. Another way to leverage the synergy of multiple viewpoints is to encourage building relationships with other teams, other departments and even people from other companies in similar fields. Working in the vacuum of your own division’s structure can cause a groupthink condition. By exploring how others face similar challenges, it’s possible to see the strengths and the weaknesses of their methods. These newfound insights can be used to bolster your own team’s successes. If you really want to jumpstart your team, initiate some innovative brainstorming and look at things from different perspectives for creative solutions. Find some people who aren’t afraid to be different and aren’t afraid to disagree with you.